Z Strings available for bookings. From busking in Covent Garden to appearing at Buckingham Palace, they are perfect for private, corporate and outdoor events. Z Strings has been established in London since 1993. 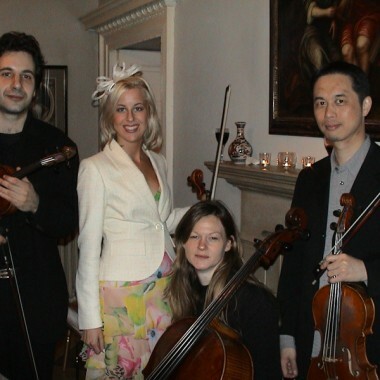 They are a group of young professional musicians who are much sought after as soloists, symphony and chamber musicians and accompanists. With their professional and academic training background, the team of musicians is able to undertake an extremely diverse and adventurous range of musical activities. They perform at venues ranging from Royal celebrations in Buckingham Palace to live street entertainment in Covent Garden. Since their set up, they have played hundreds of weddings and functions across the country, which brought them acclaim from a wide public. 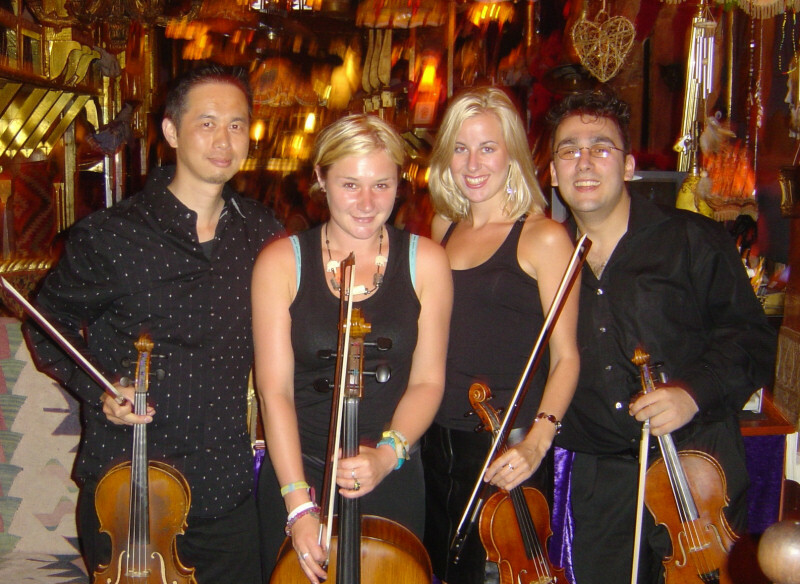 Performing mainly as a string quartet, Z Strings also work in different combinations as well as with other instrumentalists and vocalists. 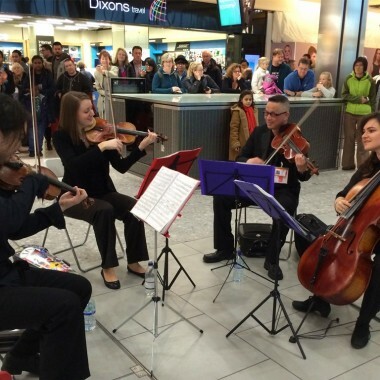 Although they are a London based group they are available to travel widely throughout the World. The group are well-known for their entertaining choreography. 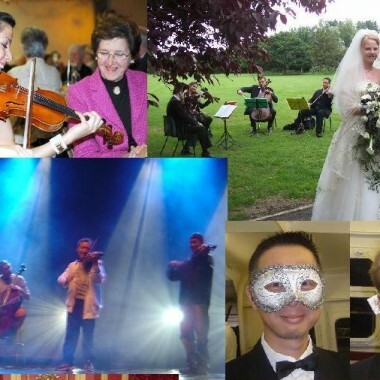 They are able to perform music from memory whilst entertaining a crowd with their lively antics, performing well-known classics accessible to all! Putting together a show with audience participation is one of their specialities! Furthermore, they have their own radio mics and packs, and PA system, which means they can go places most other string quartets can’t – and be heard! Z Strings have a vast repertoire, not all of which is listed here. This will just give you a flavour of what they have to offer. If you don’t see what you’re looking for, do ask as they may have the music – if not, special arrangements can be undertaken. John Williams Film Music Suite (including music from the Star Wars). ET, Way out west, The Godfather, Breakfast at Tiffany’s, Room with a View, Cinema Paradiso, Somewhere in Time, Love actually, Schindler’s List, Titanic, The Third Man, Scent of a Woman, Aladdin, The Lion King, Moulin Rouge, Singing in the Rain, Cabaret, Fiddler on the roof, Doctor Zhivago, Casablanca, The Red Shoes, The Tango lesson..